For the actor often the callback, is where they FALLBACK because it is full of unexpected elements and factors completely beyond your control. The copy may have changed, the concept may be completely different from your first audition. They may even have you read for another role you didn’t even know about. The last thing you want to do is panic or get flustered or worse mad and indignant. I always say show up to the callback with an expectation that something will be different and jump up and down if everything is the same way it was in the first call. First thing you want to do is Sign in and find a quiet place to sit. I generally avoid the chit chat. Too many chances to come unglued or psyched out. This one actress would always engage in conversation and inevitably find a way to get the upper hand. One time she told me how she had just booked something and wasn’t sure if it would be a conflict for this job… a classic psych for an actor. Still another time right before I was called told me I had a little spot on my shirt.. Tried to rub it out and then said.. oh they will never notice! There was no spot… But believe me I thought about that spot all the way down the hall. So Socialize later and discuss the business after your audition. Get centered , be grateful for being called back and get confident in your choices. Be ready for anything, give it 110% and keep your ears open to hear the direction. Walking into the room when called, is art form. Leave everything outside the room including coats, umbrellas, & emotional baggage. Come in unencumbered, free and ready to play! Give up forever from this moment forward the nagging question “What do they want?” “What are they looking for?” It is the actor who brings in a solid choice within the realm of what is appropriate for the scene, makes it their own and commits to that choice, who turns the head of the director. .
“they” and what “they” want ,you are giving your power away to the room. I always tell actors to walk in the room already with the job already. Have the attitude of having gotten the call that you booked the job and this is an informal meeting with the director. See how that affects the way you are in the callback room. Directors often get their inspiration from you! Something you are doing will stimulate them giving you a note or redirection. This is a good thing!! It means you are giving them something to play with. The last thing a director wants to do is have to pull a performance out of an actor. That is exhausting. They are happy as a clam when you deliver, take after take, keeping it fresh and new but hitting the beats each time.. This is what directors look for. Then they might say.. no, I want you to take the beat just quicker. “Great, so reaction quicker at the end”. In the repeating of the direction you have the opportunity to take a moment to process and to allow the note to go in to your body. You will also remember the note more by saying it out loud rather than just nod and say got it… Often we think we are listening but nothing is going in because the nerves are blocking our receptors. A good poker face is handy to have at callbacks, as you never want to leave a room letting them know you did not have the winning hand. Stay pleasant, thankful till you get to your car. You probably did better than you think. And there is always another audition. Practice, Practice, Practice is the key. Go to workout groups. Practice copy in front of people and think of yourself as a Booker! Till you are one! Nothing looks better on an actor than just having booked a job! Some of her more well-known credits include a Television Series Regular on The Jackie Thomas Show and a Recurring role on the Emmy-winning show Mad Men, a role which won her a SAG Award. Her other favorite recurring credits include Married with Children, For Your Love, Grosse Pointe, and Manhattan, AZ with Chad Everett. She has done numerous guest appearances on the hit shows Modern Family,The Middle, Bones, Castle, Scrubs, Desperate Housewives, ER, Seinfeld, The District, The West Wing, NYPD Blue, Friends,and The Drew Carey Showjust to name a few. Her teaching career has also lead to immense success, being voted BACKSTAGE WEST'S FAVORITE ON-CAMERA COMMERCIAL TEACHER IN LAin 2010 and 2011. Her other acting classes have won BACKSTAGE WEST'S FAVORITE IN LA as well, and continue to produce amazing results for her students. She teaches Advanced Callback, Commercial A to Z and Commercial Wednesday Workouts. I had the pleasure of sitting down with Director Kevin Emmons to discuss his unique insight on auditioning actors. The full exchange is in my new book, "I Booked it", but this info was too good not to share online too! Enjoy! 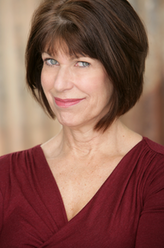 Judy: What can actors do to improve their auditions? Kevin: Look, feel, and dress the part, from the moment you walk into the room with your head space in the part. The agency people are watching. If it is comedic, then by all means be funny. Who are the people that stand out? The ones that make eye contact and make a connection as a human to human. Ultimately, you are not only auditioning, but you are showing who you are as a person. My number two pet peeve is when actors rush through the slate and profile, and they don’t smile. We want to see you, whether or not you're out of shape. Sometimes that is why you get picked. Embrace who you are . . . all your quirks. It is not about being perfect. We often look for the quirky. Present yourself. Take your time in the slate, in the understanding of the role. And if it is a scripted part, take the time to know it. Not in a memorized robotic fashion, because we don’t want to see a reading, either. But understand the script and know the content. When someone blows us away in a casting, it is because they took the time to become familiar with the material. That is your homework. Everybody has some kind of homework in life. The actor is usually a very undisciplined person. I see actors who book all the time, and it is because they are working hard. How often actors are unprepared. Someone who does a lot of commercial work gets better and better at it. How they don’t understand the role they are seeking. What does it say? The agency and the director come up with specs for the casting office, so they will write the description of the character. Pay attention. How they don’t dress for the part. Come to the casting appropriately dressed; you would be surprised how often people come dressed inappropriately. Do you know what a hipster looks like? He’s not a conservative 60-year-old in pinstripes. Callbacks! Let’s say 100 people auditioned, I have six favorites and the agency has eight favorites. Sometimes they overlap and you have commonality. Now, if they have eight chosen for callback, and I have eight, and they are completely different, I get concerned that their vision of the commercial is different than mine. Still, if 16 people come to the callback and you end up with a great actor, it’s excellent! This is an excerpt from Judy Kain's book "I Booked it" - now available online or at Keep it Real Acting. Kevin Emmons is a Director & Cinematographer who has shot everything from documentaries in China, Russia & Tibet, to the advertising world of autos, fashion, sports, athletes, celebrities, effects and lifestyle spots. One of the few commercial DPs inducted into the prestigious Society of Operating Cameramen (SOC) and working with an extensive list of top directors, Kevin has been cinematographer on well over 1500 national television commercials for such diverse clients as Reebok, Ford, Kraft, Coke, McDonald's and Budweiser - with spots that have made it on air during the coveted Super Bowl. His images have won awards at local and national levels including Addys, Tellys and Clios. He has written articles for several industry publications, is a Director of Photography in the local 600, and is a member of the Directors Guild of America (DGA). The brilliant actor Jack McGee spoke at length to my Advanced Callback Class this past month. Here's just a snippet of what he had to say. and a Recurring role on the Emmy-winning show Mad Men, a role which won her a SAG Award. Her other favorite recurring credits include Married with Children, For Your Love, Grosse Pointe, and Manhattan, AZ with Chad Everett. She has done numerous guest appearances on the hit shows Modern Family, The Middle, Bones, Castle, Scrubs, Desperate Housewives, ER, Seinfeld, The District, The West Wing, NYPD Blue, Friends, and The Drew Carey Show just to name a few. Her teaching career has also lead to immense success, being voted BACKSTAGE WEST'S FAVORITE ON-CAMERA COMMERCIAL TEACHER IN LA in 2010 and 2011. Her other acting classes have won BACKSTAGE WEST'S FAVORITE IN LA as well, and continue to produce amazing results for her students. She teaches Advanced Callback, Commercial A to Z and Commercial Wednesday Workouts. One of my favorite things about teaching the Advanced Commercial Callback Class is having brilliant and talented industry guests come every class to provide feedback on student performance and answer questions. This past month we had the pleasure ofCal Arts Professor and longtime actress friend of mine, Suanne Spoke come share valuable insights with our class. She was so good that I couldn't resist sharing here as well. The 21st Annual Sedona Film Festival is over but lives on in my mind with the memory of such stimulating, thought provoking films! Not only was the quality of the films beyond my expectations, but the splendor and staggering beauty of Sedona made the long weekend the hottest show in town! Something for everyone from features to shorts, documentaries to animation and foreign films to student films. Directors Choice Award for best Comedy Feature went to Frank vs God, a comedy that raises questions about faith and religion with a light-hearted tone and an open mind. The film is an uplifting story of one man’s search for answers, by taking them to a higher court. I found the script clever and anything but cliche, with outstanding performances by Ever Carradine & Henry Ian Cusick. My personal favorite which did not win any awards was Little Accidents. Its a heartfelt story shot in a small American town still living in the shadow of a terrible coal mine accident, the disappearance of a teenage boy draws together a surviving miner, the lonely wife of a mine executive, and a local boy in a web of secrets. The simplicity of the performances by the cast was riveting. I also saw some great short films - Hands of Flame won the best Student short film and well deserve! Based on a true story, Hands of Flame is a thesis film by Steven Markowitz from the School of Film and Animation at the Rochester Institute of Technology, told entirely in silhouettes and featuring a unique blend of 3D computer animation and traditional 2D watercolor animation. I was moved by this simple, gripping, true film about the holocaust. The films were fantastic and the Parties were even better with the exuberant social interaction and networking between film makers and audience members. It is an event not to be missed. Hope to see you there next year. Inevitably you will get a commercial audition at the most inconvenient time, in the farthest location from where you live, during heavy Los Angeles traffic. But because over 2500 actors are submitted for each role, and you were lucky enough to get your children picked, you should happily make the audition, even if that means changing your child's dentist appointment, rescheduling your own hair appointment, or even skipping the karate class they are enrolled in. Give yourself a leg up and always have an extra set of clothes in the car. Shoes, tights, shirts, sweatshirts.. whatever is a good standard outfit for your child. Also hair ties, brushes, anything you need to make the necessary quick adjustments and not drive home. Also have snacks in the car... ALWAYS! Bars, Nuts, Juice boxes, fruit snacks.. so your child isn’t hungry when they arrive. It is important to help your child understand the spot, and their function in it. Help them with any words they do not know how to pronounce or understand. But that is where your assistance should end. IT IS CRITICAL YOU NEVER TELL OR SHOW THEM HOW TO SAY THE WORDS, OR GIVE THEM ANY GESTURES TO DO WHILE SAYING IT! DO NOT COACH YOUR KIDS! Let them sound natural like a kid.. DO NOT TELL THEM TO SMILE ON CERTAIN WORDS. You are hurting them more than you will know. Casting directors can tell instantly that a kid has been coached poorly and then it is very difficult to direct them to read naturally. Your job is to get them to the audition on time, keep them in a good mood, feed them, support them and drive them home safely. That is very, very helpful and appreciated. If your kids are over a certain age, that’s where techniques can help them without locking them into a rigid recital for the casting director. Here are a few technique suggestions for your kids over 8 years old. Paraphrase: Put the scene in your own words. Make it your own and know exactly what it is you're doing in this place. This is an excellent way to memorize the lines as they will make much more sense to you if you make this a regular practice. In addition you will refrain from being selly. The tone of commercials nowadays is very filmic and often times the product is not even uttered by you or anyone in the scene. It may be voiced over at the end. SO NEVER NEVER NEVER SELL. That is not your job. That is the advertisers job. You are to play the scene and work to get what you want from the person you're talking to. Personalize: This is where you can add your own experience as it fits in with the confines of the scene. You always want to work within the framework of the scene you are given and Put your own spin on it or infuse a little hint of your personality in the scene. This is very important because it is your audition and your job is to lift the copy from the page and make it come alive. The way to do this is make personal everything you are talking about. Pick someone from your life to talk to. I have a list of 5-7 people who I talk to on a regular basis and I use them and put them in the camera. I actually cast the person I am talking to or about so I have a clear picture of who is in the scene with me. They should be real people in your life, not made up people. For kids most of the time they are talking to their mom, dad or siblings. If they do not have siblings they can use a cousin or good friend Talk to them and see how the scene becomes more real for you. In addition to this work, know how you feel about everything you talking about. Practice: Get the words out of your mouth prior to going in the room. You do not want the first time these words come out of your mouth to be on your first take… DISASTER! Find a corner, or go outside or in the bathroom and say them in full volume. The words sound different vocalized than they do up in your head..
And once you get in the room ASK FOR A REHEARSAL or look at the cue card and do a quick take out loud while the session director is finding your name on the call sheet. It is like a free take and you might even get some notes from the session director too! When you are done, say thanks and leave upbeat. Are you all done? or Did you have fun? That is it.... gather their things and sign out and go on to your next appointment. Or treat them with a visit to the local eatery. DO NOT ASK THE FOLLOWING QUESTIONS as they put undo pressure on your young actor and they are unable to answer it and will sense they did something wrong.. and will carry that into the next auditions. What did they ask you do? Refrain from saying.. lets hope you get this one.. or hope you get a callback.. etc... Keep your kids pressure free. As parents of a young actor you have to accept that you will never be privy to what happens in the audition room. That is why they should be in class where they can get proper training from a professional. The only time you will see your child work is on the set. That is your only opportunity to see them in action. And then again there you are the parent. They have a director, a teacher and a studio rep to make sure they are not being worked improperly under the child labor laws.